A goose on the roof. 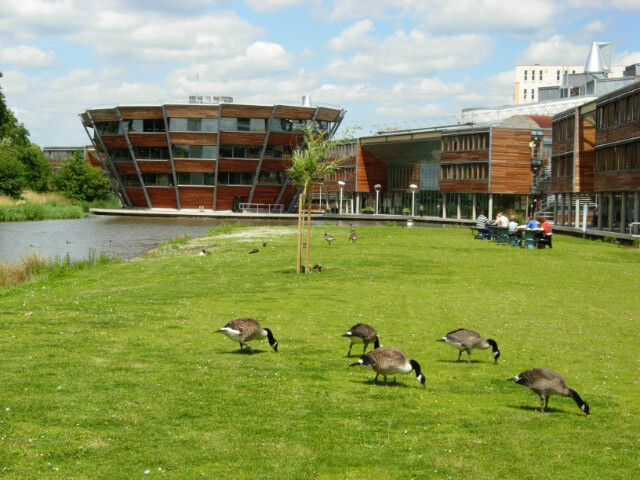 Jubilee Campus, Nottingham University. 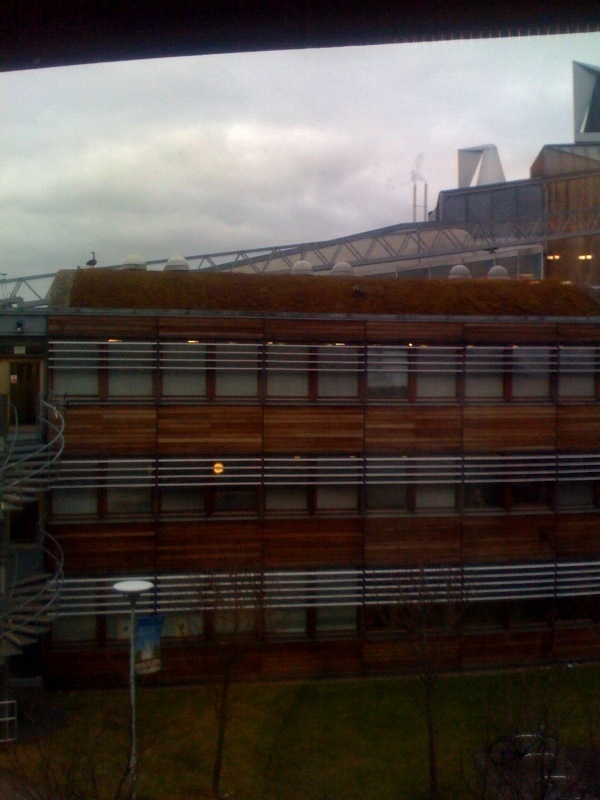 Some roofs there are covered with lawn, for natural thermal insulation, and geese are grazing there. This is what I call environmentally friendly architecture. Photo by Natasha Alechina. Jubille Campus, Nottingham University. Geese graze happily at ground level, too -- but who will be surprised with that? This is an overflow blog for more trivial or personal posts not suitable for my principal blogs, Mathematics under the Microscope and A Dialogue on Infinity.